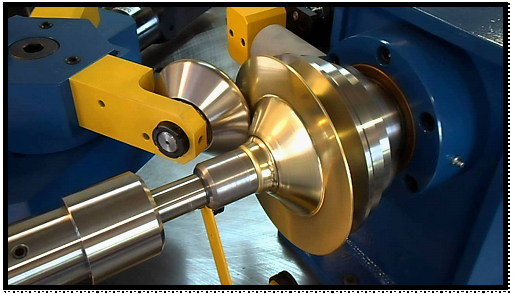 What is Spinning Machining ? The spinning process is fairly simple. A formed block is mounted in the drive section of a lathe. 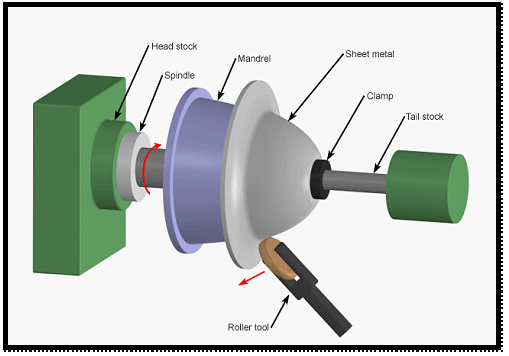 A pre-sized metal disk is then clamped against the block by a pressure pad, which is attached to the tailstock. The block and workpiece are then rotated together at high speeds. A localized force is then applied to the workpiece to cause it to flow over the block. The force is usually applied via various levered tools. Simple workpieces are just removed from the block, but more complex shapes may require a multi-piece block. Extremely complex shapes can be spun over ice forms, which then melt away after spinning. Because the final diameter of the workpiece is always less than the starting diameter, the workpiece must thicken, elongate radially, or buckle circumferentially. Spinning tools can be made of hardened steel for using with aluminum or solid brass for spinning stainless steel or mild steel. 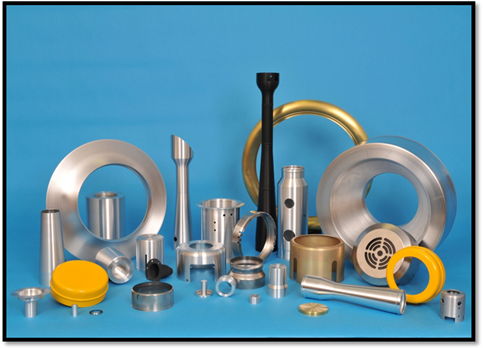 Other methods of forming round metal parts include hydroforming, stamping, forging and casting. 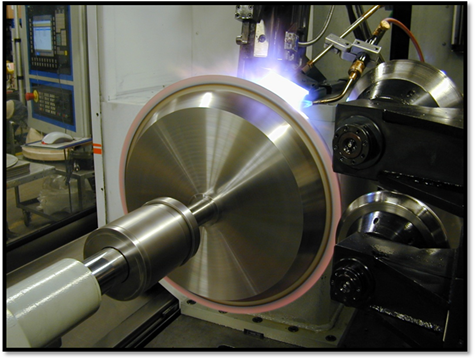 These other methods generally have a higher fixed cost, but a lower variable cost than metal spinning. As machinery for commercial applications has improved, parts are being spun with thicker materials in excess of 1in (25mm) thick steel. Conventional spinning also wastes a considerably smaller amount of material than other methods. Objects can be built using one piece of material to produce parts without seams. Without seams, a part can withstand higher internal or external pressure exerted on it. For example: scuba tanks and CO2 cartridges. One disadvantage of metal spinning is that if a crack forms or the object is dented, it must be scrapped. Repairing the object is not cost-effective. XY-Global is the leading manufacturer that specializes in wide range of custom mechanical parts.Here is our webstie: www.diecastingpartsupplier.com .